For more information on InGenius Connector Enterprise, visit ingenius.com . InGenius® is a computer telephony integration (CTI) innovator with over 20 years of experience in enterprise telephony. InGenius Connector Enterprise integrates existing telephone systems into Salesforce and Microsoft Dynamics CRM, to empower sales and service organizations to deliver world-class, phone-based customer experiences. With features such as screen pop, click-to-dial, CRM screen transfer, enhanced call reports and automated call logging, organizations can efficiently serve customers while providing a better customer experience. Since InGenius is 100% focused on computer telephony integration, team members possess an unparalleled amount of expertise when it comes to understanding contact centers and their CTI requirements. With InGenius, customers don’t need to change their telephony systems or business processes. InGenius Connector Enterprise is built to work with existing phone systems, and their established call queues and routing. Call handling can be matched to business workflows with web configuration tools. The software even integrates with custom objects and custom entities inside the CRM. Administrators can set up an interface individualized for a specific call group by prefilling templates, information and speed dials, and configuring buttons according to their needs. By integrating with existing processes, no time is spent redesigning systems that are already working or retraining staff. 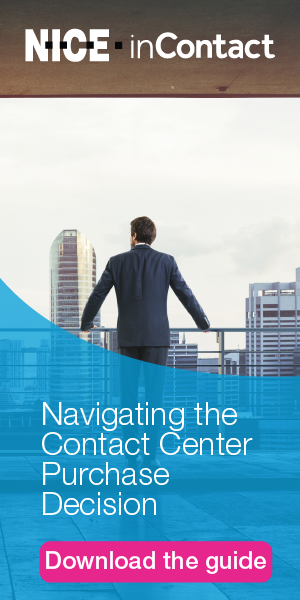 Contact centers can be configured in ways that work for their business. InGenius Connector Enterprise equips contact centers with tools to increase agent productivity and call capacity, while providing a better overall customer experience. Having all tools consolidated within the CRM means fewer clicks for agents as they don’t need to move back and forth between applications. Click-to-dial with intelligent dialing formatting enables fast connection of outbound calls, and automated call logging shortens call wrap-up time while ensuring that consistent information is collected. The user interface is intuitive and integrated directly in the CRM, so limited training is needed to get end users up and running on InGenius. InGenius provides accurate and consistent call data stored inside the CRM, so contact center managers can make better decisions. Preconfigured reports show agent-level information with data on individual performance, and team-level information with overall contact center data that can be scoped to a designated time frame. Metrics include average handle time, total talk time, successful call counts, call results, successful call list and volume reports. Contact center managers get a 360-degree view of customer call interactions and a big picture look at agent productivity for intelligent analysis and decision-making. Kari Simpson is the Vice President of Product Management and Marketing for InGenius, a software firm specializing in computer telephony integration. She has a Masters in Education, focused on online learning and previously held senior product management roles with BlackBerry, Mitel and AutoSkill International. Kari developed an understanding of successful call centers by working as a Customer Service Representative at two of Canada’s largest utilities - Bell Canada and Consumers Gas.